If you ever needed inspiration to participate in sport then look no further than Iffy. 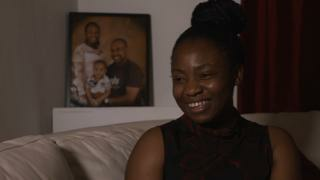 After immigrating to London from Nigeria and giving birth, Iffy knew hardly anyone in the Croydon area. She felt depressed and lonely but decided to do something about it. After signing up for the FA People's Cup as an individual she found a team that inspired her to take up football more regularly and she couldn't be happier. She feels like she's "made sisters for life." Registration closes at midnight on Friday, 15 January, and you can find out more about signing up by clicking here.